Julie Orio selected to continue visionary and creative leadership and advocacy for the campus student body. Julie Orio selected as USF's new vice provost of student life. “Julie has proven over the course of the last year that she is more than qualified to take on the position of vice provost on a permanent basis,” said USF Provost Don Heller. The University of San Francisco (USF) has named Julie Orio vice provost of student life. Orio has served as interim vice provost of student life at USF since August 2015, where she has led a team of approximately 140 full-time professionals and 25 graduate students to enliven the university’s Jesuit mission through its co-curricular offices and activities that support the development and success of all students. She will begin her permanent role immediately. Before assuming the interim position, Julie was associate vice provost and dean of student development from 2012–15. She is a certified Title IX deputy coordinator and has been actively involved in the development of the university’s response protocols to sexual misconduct during her 17-year tenure at USF. She also previously served as a co-educator in the Martin-Baro Scholars Community, which examines issues of citizenship, social justice, and diversity; as the chair of the President’s Advisory Committee on the Status of Women; and as adviser to the university’s Women’s Resource Center (now the Gender and Sexuality Center). She was the co-recipient of a $300,000 grant from the U.S. Department of Education to reduce high-risk drinking at USF and served as the project director. Orio also helped to create the university’s Emergency Medical Response program, establish recovery housing and gender inclusive housing, and assisted in developing a new reporting system for faculty and staff to help them handle difficult student issues. As the permanent vice provost of student life, Orio will begin the processes of recruitment for the associate vice provost and dean of students position, as well as continuing the search for the senior director of Student Housing and Residential Education. She will be reaching out to students and colleagues to participate in those searches. Working to establish a new African American living/learning community on campus is another of Orio’s top priorities in the year ahead. 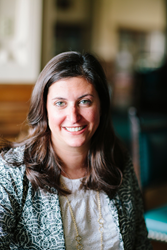 Orio holds a bachelor of arts from the College of the Holy Cross, where she majored in anthropology and sociology with a concentration in women’s studies, and a master of education in student personnel administration from Teachers College, Columbia University. Beyond her responsibilities at USF, since 2006 she has been actively involved in the Women’s Community Clinic in San Francisco, serving as board member and chair. For more information and to request an interview with Julie Orio, please contact Anne-Marie Devine Tasto, USF senior director of media relations, at (415) 422-2697 or abdevine(at)usfca(dot)edu. The University of San Francisco is located in the heart of one of the world’s most innovative and diverse cities, and is home to a vibrant academic community of students and faculty who achieve excellence in their fields. Its diverse student body enjoys direct access to faculty, small classes, and outstanding opportunities in the city itself. USF is San Francisco’s first university, and its Jesuit Catholic mission helps ignite a student’s passion for social justice and a desire to “Change the World from Here.” For more information, visit http://www.usfca.edu.